Life Fitness 9100 Next Generation Stepper. 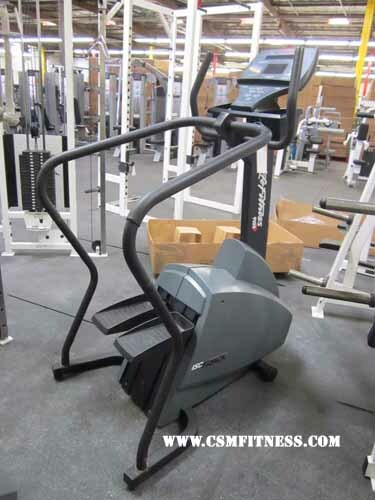 This stepper features the Iso Track Climbing system, ergonomically designed handle bars for support and proper upright positioning, dual-level alphanumeric LED console, 26 workouts including 5 Zone Training+. The user can select up to 9 different languages, and the unit is self powered. This unit is perfect for any individual searching for a easy, stress free cardio workout. This is perfect for commercial or home use.